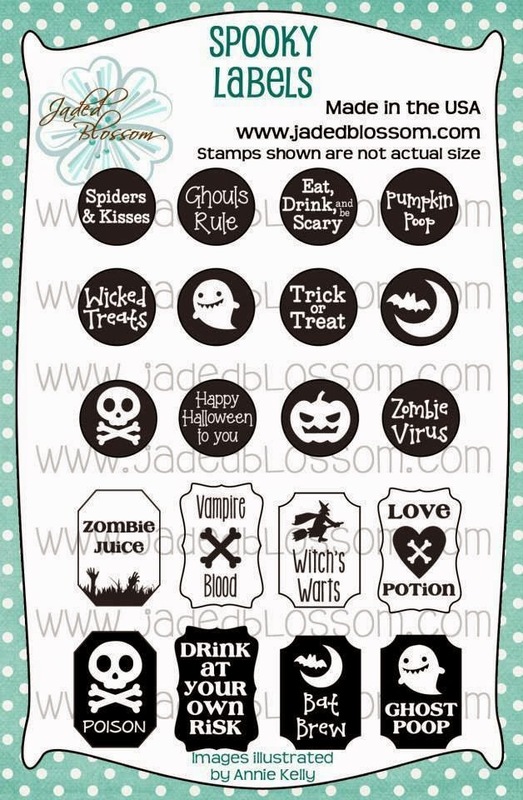 Welcome to day 1 of the Jaded Blossom September release! I still can't believe I'm getting to guest design this month!!! This release is super fun and you won't want to miss any days of the release! 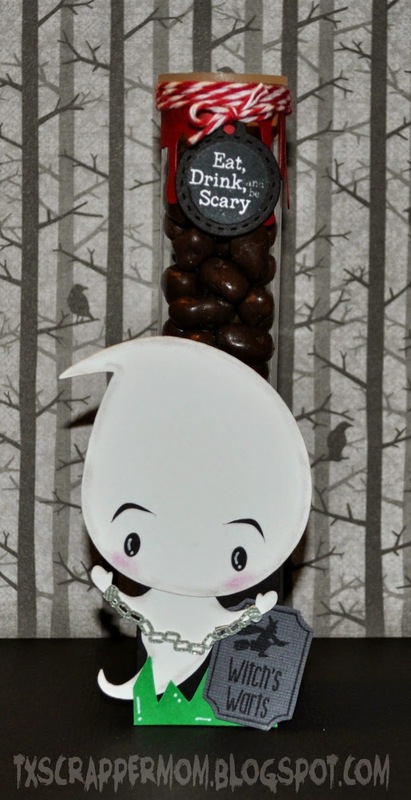 What a cute little ghost -- and a cute treat!! 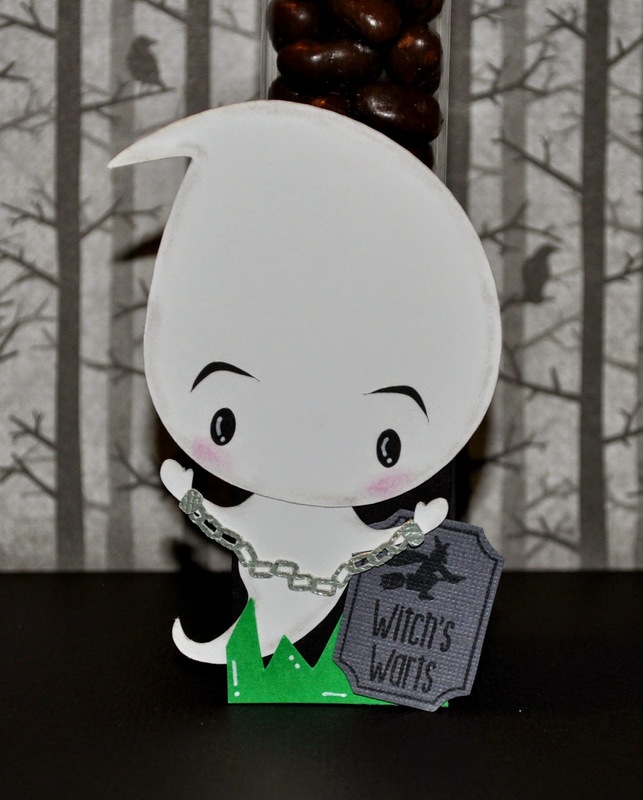 I love this treat and that ghost holding the chain is awesome. This is adorable! Halloween is my favorite holiday too! 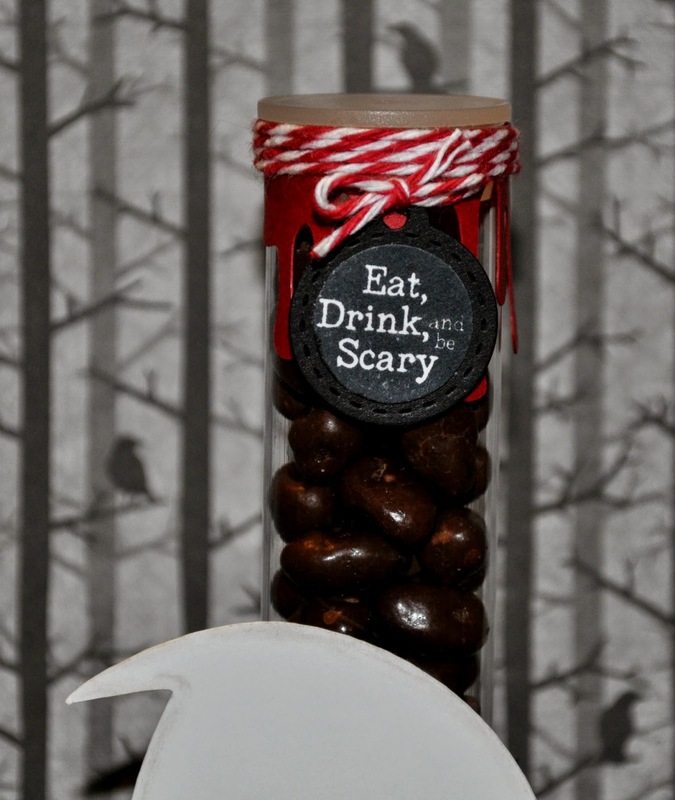 Very Cool treat for Halloween! Que lindo proyecto ese fantasmita esta precioso. This is so FUN! I love how you wrapped the blood die around the tube!